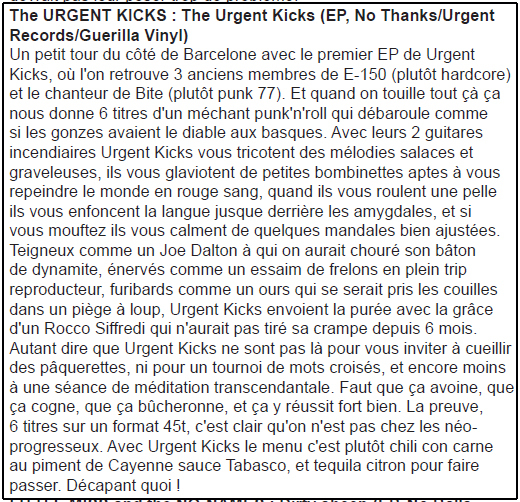 GV 017 >> The URGENT KICKS debut 7" - Disponible ! Available ! Ex-E 150 + vocalist of The BITE ! 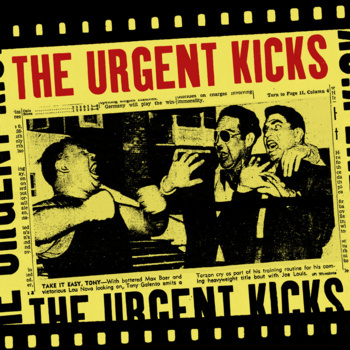 Great Punk/Rock'n'Roll in the spirit of New Bomb Turks / Devil Dogs / Aussie Punk style ! Check this out ! Also VERY Limited edition on RED vinyl ! Vinyle : 7.50 euros port compris pour la France. Chèque à l'ordre de DO IT YOURSELF, B.P. 135, 87004 LIMOGES cedex 1, France.